As Brazilian president Lula prepares to step down, the country is facing a remarkably bright future—and a presidential election that is far from a foregone conclusion. 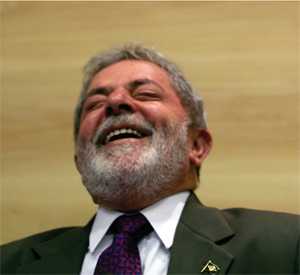 Brazilian president Lula has a lot to laugh about, having defed his critics. He will be leaving Brazil with a strong economic legacy. When Luiz Inácio Lula da Silva ran for president of Brazil in 2002, market players feared the labor activist’s leftist rhetoric would spell trouble for Latin America’s largest economy. After all, he spoke of social justice and a possible debt default. Yet, once in office, Lula pursued his social programs but maintained prudent economic policies and fiscal responsibility. Seven years later, those same market players hope Brazilians will choose a successor next year who will lend continuity to Lula’s economic program. Even his opponents are likely to do so. 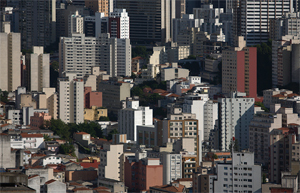 Markets do not expect many surprises during the October 2010 presidential election, unlike the 2002 campaign in which signs of an impending Lula win wreaked havoc on the exchange rate and bond prices. “An election year is full of emotions, but we are talking about emotions at a different level now,” former central bank president Arminio Fraga told delegates at a recent investors’ forum. “The views have converged in seeing the advantages of economic stability; this greatly reduces the possibility for uncertainty,” added Fraga, who now chairs the BM&F; Bovespa exchange in São Paulo. That does not mean the campaign will be an easy one. Lula, constitutionally banned from seeking a third consecutive term, hopes Brazilians will elect his chosen successor, chief of staff Dilma Rousseff, though her bid is off to a slow start. According to a Sensus poll in September, Rousseff received only 19% of voter intentions, down from May’s 23.5%. São Paulo governor José Serra of the opposition PSDB party, her likely contender and who lost the presidential election to Lula in 2002, received 39.5% in the September poll, showing a drop of only 1 percentage point since May. Rousseff’s standing may have slipped as a result of an ethics scandal involving another Lula ally and the perception that the administration has not acted quickly to halt the spread of the H1N1 virus, with Brazil now claiming the world’s largest number of deaths. Some analysts contend Rousseff’s health—she underwent chemotherapy earlier this year to treat lymphoma—could also explain why a candidate supported by a president with a nearly 77% support rating is not a shoo-in. With congress recently approving a law allowing candidates to use the Internet for advertising, Lula has called in some of the consultants who designed US president Barack Obama’s digital campaign to help boost Rousseff’s profile. The arrival of dark horse candidates is adding spice to the mix. Among them is Marina Silva, Lula’s former environmental minister, who defected from the ruling Worker’s Party (PT) over differences regarding agricultural and infrastructure development in the Amazon region. Now a member of the opposition Green Party, Silva, an environmental activist who was raised in a family of rubber tappers, could steal away some working class PT members. As an evangelical Christian, she may also appeal to conservative voters. When the Supreme Court in August dismissed charges that former finance minister Antonio Palocci, a close Lula ally, had violated bank secrecy laws to silence a witness in a 2005 bribes-for-votes scandal, some political observers said he may be ready to step in should Rousseff’s candidacy not gain momentum. Palocci, now a PT congressman, is credited with taming inflation and slashing the budget gap but still has to contend with the ghost of another political scandal that led to his resignation as finance minister in 2006. There is no doubt that Rousseff would lend continuity to Lula’s economic program, though she may be more stridently leftist than her mentor. That is why some analysts suggest central bank president Henrique Meirelles may be tipped for the PT ballot as Rousseff’s vice presidential running mate, helping offset lingering concerns over her ideological stance. Meirelles, appointed in 2002 and the country’s longest-serving central banker, is said to be eyeing a gubernatorial seat in his native state of Goias, for which he would have to resign his post by next April to run for office. “At this point, it looks like José Serra, the center-right governor of São Paulo, is the favorite to win,” says Alvaro Vargas Llosa, a senior fellow at the Independent Institute’s Center on Global Prosperity in Washington, DC. “If Serra does win, the current policies are almost guaranteed to continue.” Vargas Llosa feels that if Lula and Rousseff decide to play to the PT’s radical base in order to score points against Serra, the situation could get messy, opening the way for opponents, including those who have dropped out of the PT, to launch more vocal attacks against the administration. “Serra will have to be strong and willing to resist a measure of unpopularity, particularly if, as is absolutely necessary, he engages in reform,” adds Vargas Llosa. Some analysts still predict a slight GDP contraction of some 0.4% this year, following last year’s 5.1% growth, though most agree the country will see a 4%-6% expansion in 2010. An increase in domestic credit, dropping unemployment and government tax breaks for purchases of automobiles and consumer durables will drive growth. The government maintains its 4.5% inflation target for both 2009 and 2010. Lula has vowed not to boost spending to support the PT’s presidential campaign next year, though some analysts are taking a cautious approach. “Fiscal policy will remain lax into 2010, as that year is an election year, and monetary policy will be forced to do the heavy lifting,” wrote Douglas Smith, Standard Chartered’s chief economist for the Americas, in a September report. Standard Chartered predicts the central bank may raise the benchmark overnight rate in first-quarter 2010 as the economic recovery threatens to spark inflation. The rate, currently at a record low 8.75% after hitting a high of 13.75%, is expected to rise to 9.25% early next year. “According to the 2010 budget submitted to Congress, and in line with our projections, fiscal targets suggest a slight tightening of policy in 2010, but the government’s fiscal effort will remain much weaker than in recent years,” says Standard & Poor’s. The ratings agency notes tax revenues have dropped sharply this year due to tax breaks and lower economic activity, for which it predicts the general government (non-interest) primary surplus will drop 1.5 to 2 percentage points of GDP in 2009, from 2008’s 3.5%. The agency says falling interest rates will make the overall deficit widen by a smaller amount. Finance minister Guido Mantega says the primary fiscal surplus target will be raised to 3.3% of GDP next year, from a current 2.5%, after it was cut to facilitate stimulus spending. The incoming administration will also have to contend with the country’s recent pre-salt oil finds, which will position Brazil as a major world oil producer. The new fields hold an estimated 50 billion barrels of oil, and Lula has said revenues should be earmarked for education, technology and poverty reduction. To that end, he pushed through a new law giving the government greater control over the offshore fields. Vargas Llosa believes the move could backfire. “He [Lula] is concentrating too much power in the state by creating entities that will control how the fields are exploited and keep a big portion of the profits, and reserving too much of the business for Petrobras,” he says. “All of this may dissuade investors and end up making political use of the wealth.” So far, investors have not stayed away and may be attracted by opportunities afforded not only by the oil sector but also by the 2014 Soccer World Cup and 2016 Olympic Games. 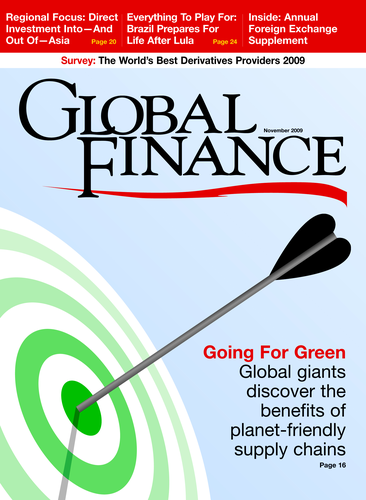 Foreign direct investment is expected to hit $25 billion this year.